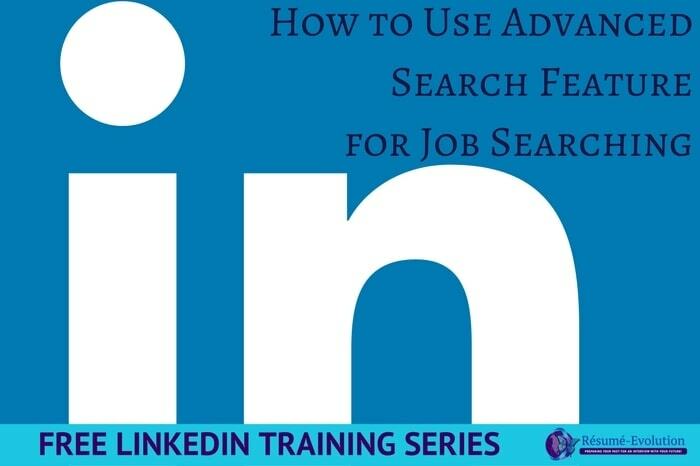 This LinkedIn training is all about finding the right people who can help you with your job search. Today, it’s all about finding people – not jobs – and as the #1 professional networking site in the world, LinkedIn gives you access to close to 500 million people across the globe. All you have to do is search for them. You can actually find your future boss at your targeted company and reach out to him or her directly. In this LinkedIn training video, I show you exactly how to do that. One important thing to note is, these searches are actually limited by LinkedIn on a monthly basis. They haven’t released the actual number. It’s speculated to be dependent on each individual user. Regardless, you will get an alert letting you know when you have almost reached your monthly limit. Take a look around for more resume writing tips, cover letter help and LinkedIn training. This LinkedIn training was brought to you by Melanie L. Denny, President of Resume-Evolution, a professional resume writing service that takes pride in delivering L.I.V.E TM resumes that Look Good, are Intentional, Value-based and Enticing. Her team of elite certified resume writers provide professional resumes and LinkedIn profile writing services to brilliant professionals who are ready to level-up in their career. Visit www.resume-evolution.com for more details on our services. While you’re there, download LinkedIn a Nutshell: Getting Started on the #1 Networking Site to help you get set up for success on LinkedIn!